Ward and Smith is Triangle Attorney at Law's "Firm of the Month" - Ward and Smith, P.A. 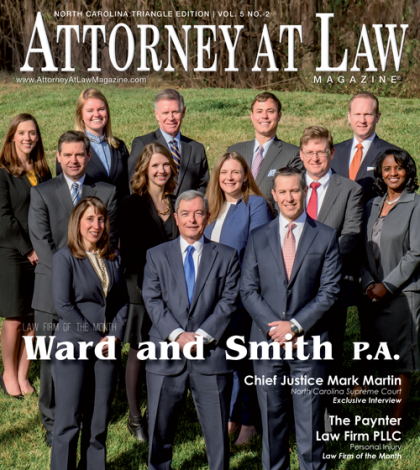 Ward and Smith is Triangle Attorney at Law's "Firm of the Month"
Ward and Smith is featured as the "Law Firm of the Month" in the May edition of the Triangle Attorney at Law magazine. The magazine's cover image featured our co-managing directors, one of our Raleigh team leaders, and Triangle-based lateral attorneys who have joined the firm in the past year. Attorney at Law editor Bob Friedman interviewed several Ward and Smith lawyers for the feature story, which focused on the firm's growth and transition from a eastern North Carolina firm to a statewide powerhouse. Read the entire article here. “We’ve always been different than the mahogany desk and corner office law firm,” said Ward and Smith co-managing director Brad Evans. That’s the message the firm wants to communicate to clients, and to potential lateral attorneys it hopes to recruit during its current expansion mode. The New Bern-based firm has traditionally focused on eastern North Carolina, with offices in Greenville and Wilmington. But between its growing Triangle location and its office in Asheville, Ward and Smith has a statewide reach. “We think a lot of companies outside North Carolina prefer to deal with a single firm in the state, and since we cover the entire state, it’s worked out well for us,” observed Evans. 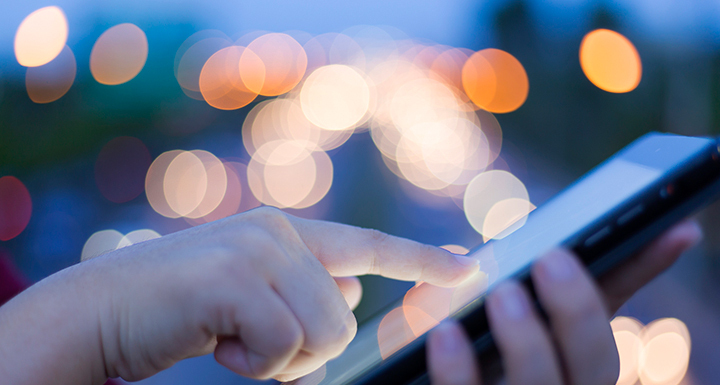 “We had a consultant do a market study of the Triangle related to growth potential. Their recommendations were right in our sweet spot – the needs of closely held businesses and the construction industry,” said co-managing director Ken Wooten. “North Carolina is now the ninth most populous state in the country. As the economy grows, the regulators go where the businesses are. There has been a radical expansion over the last 20 years of the government regulating and prosecuting in areas it has not historically such as economic crimes, environmental crimes and health care offenses,” said Wes Camden, a recent lateral hire and leader of the firm’s white-collar defense practice group.